Canterbury Pilgrims & Early Settlers Association Inc. The main aim of the Association is to promote and preserve the history of our early settlement and of those pioneers who laid the foundations for this city. The first meeting of the Canterbury Pilgrims Association was held on 8 October, 1923. 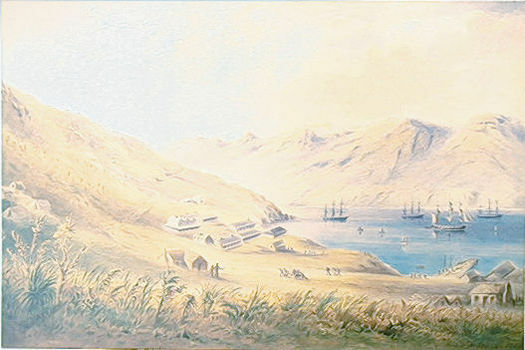 The Association’s first members consisted of a few of the remaining settlers who arrived in the ‘First Four Ships’ (arriving in Lyttelton, December 1850) and descendants of early settlers to the Canterbury region in New Zealand (‘Canterbury Association Ships’ up until 31 October, 1876). Current members consist of descendants of those early pioneers and others who have an interest in that period of Canterbury’s formation. Over the years, thousands of artefacts, diaries, costumes etc from that period and reflecting Canterbury’s early history, have been collected by the Association and are now held by the Canterbury Museum in Christchurch. 'Neath speckless skies of sunny blue. Three half-score years- and can this be? Behold their work! Revere their names! Green pastures set in golden frames. Around the City of the Stream. Canterbury Museum Learn about the past, present and future of Canterbury. Discover The Delights Of Peeling Back History Discover the heritage and fast disappearing tales of Christchurch and Canterbury. Archives New Zealand Online index to New Zealand Government archives.